At least here in the northern hemisphere, spring has officially sprung — which means the days are just getting longer, brighter, and more ripe for exploration. But if college is quickly fading in the rearview and the mere idea of tequila makes you queasy, don’t worry: there’s much more to spring travel than the traditional wild Cancun adventure. In fact, RVing is one of the best ways to take on the many exciting spring getaways waiting for you, giving you the freedom to take the road at your own pace and the comfort of having a private, quiet place to relax each evening! 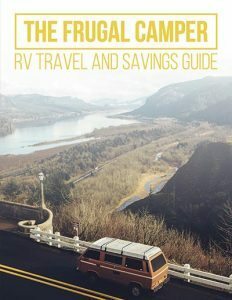 In this post, we’ll go over a few of our favorite spring vacation destinations for travel trailer and motorhome campers, before talking a little bit about our favorite ways to save money, time, and effort during your upcoming trip. So — ready to get out there and enjoy this long-awaited sunshine? Here’s our best advice! Sure, Florida’s Atlantic beaches might get all the attention, especially during spring break. But if you haven’t spent any time on the Gulf coast, you’re seriously missing out. 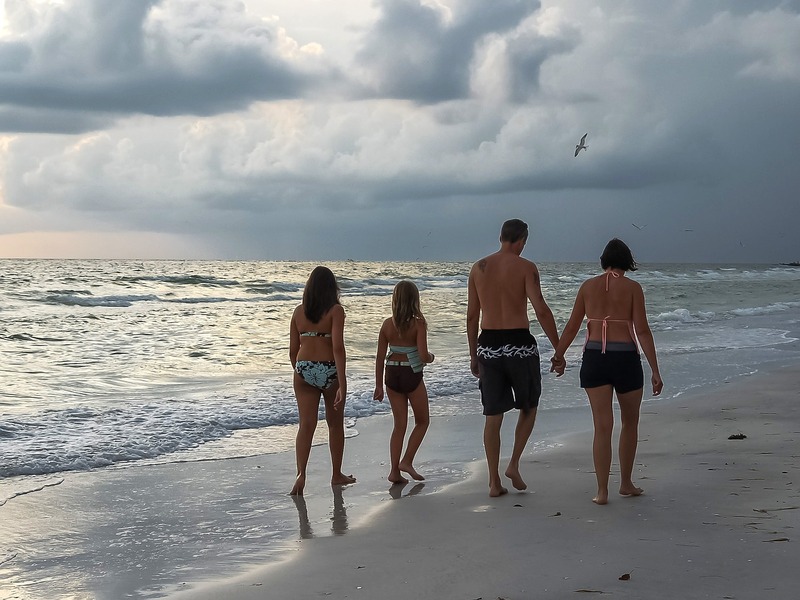 You can enjoy all the same delicious sunshine with a fraction of the crowds and crazies (yes, I’m allowed to say that, I’m from Florida) — and in this beach town, specifically, you’ll get the added bonus of enjoying a bustling art, food, and entertainment scene. Known as “St. Pete” by the locals, the city lies just over the bridge from Tampa — which makes it easily accessible if you’ll be flying in. It’s got all the same big-city resources as its more metropolitan cousin with fewer skyscrapers and way more cozy beach bars, not to mention the largest collection of Salvador Dali works in the world, let alone the country. Oh yeah, and soft, white-sand beaches lead up to warm, shallow waves that just beg to be waded into. There’s not much in the way of surf… but that’s more than made up for in serenity. 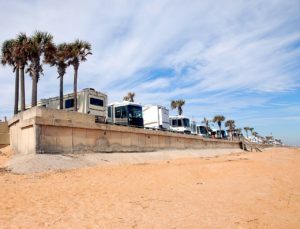 Click here to see RVshare rentals near St. Petersburg Beach, Florida. But you can definitely camp nearby and take the ferry over to enjoy day trips; there’s a slew of campground options in the area, from privately-owned resorts like Tiki RV Park to the solid stand-by of the neighborhood KOA. No matter where you park your rig, you’ll quickly fall in love with the island once you make the short sea journey to get there. Meander the boutiques and fudge shops, stand in awe of the Victorian-era architecture, or bring along your hiking boots for some outdoorsier adventures. The islands miles of trails are great to see on foot, but you can also bike or horseback ride — and don’t forget, it’s surrounded by water, so paddling’s an option, too! 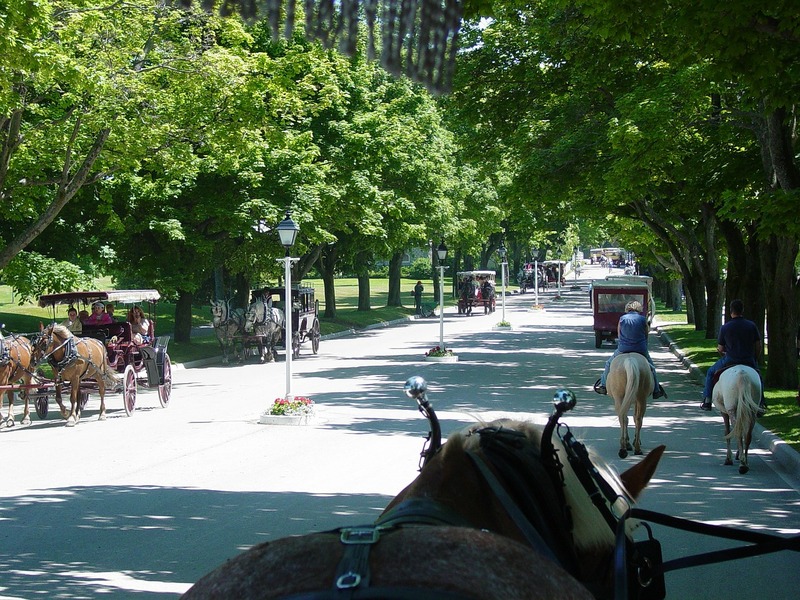 Click here to see RVshare rentals near Mackinac Island, Michigan. You don’t have to be a wine snob to fall in love with Napa Valley — although by the time you leave, you probably will be. Considering the rolling hillside, trellised vines, and 70-degree daytime weather, this famous landscape makes a stellar spot for an April vacation, especially if you already live nearby (as so many Americans do — the Bay Area’s population has recently eclipsed 7 million!). 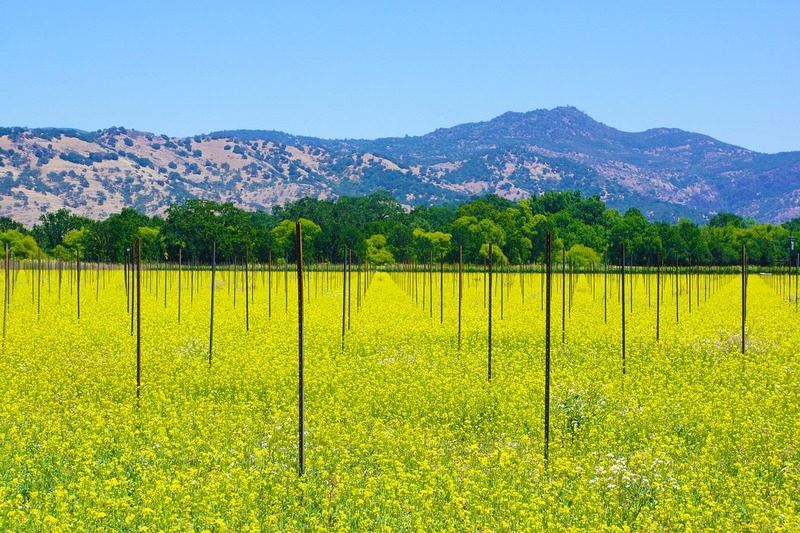 Wine tasting is an obvious choice, but you can drink down Napa even if you’re a teetotaler; the sun and slopes are equally proficient at producing world-class olive oil. And where there’s great wine, great food is sure to follow… which means visitors will have an incredible array of culinary options to choose from across the price and fanciness spectrum. Oh, and there are also hot air balloon rides. You know, just in case you get bored. Click here to see RVshare rentals near Napa Valley, California. Here are a few more spots to consider for your upcoming spring road trip. 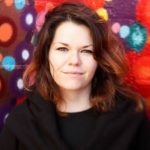 Looking for the Santa Monica Pier experience without the Los Angeles County prices — or, if you’re an east-coaster, the crazy drive time to actually get there? 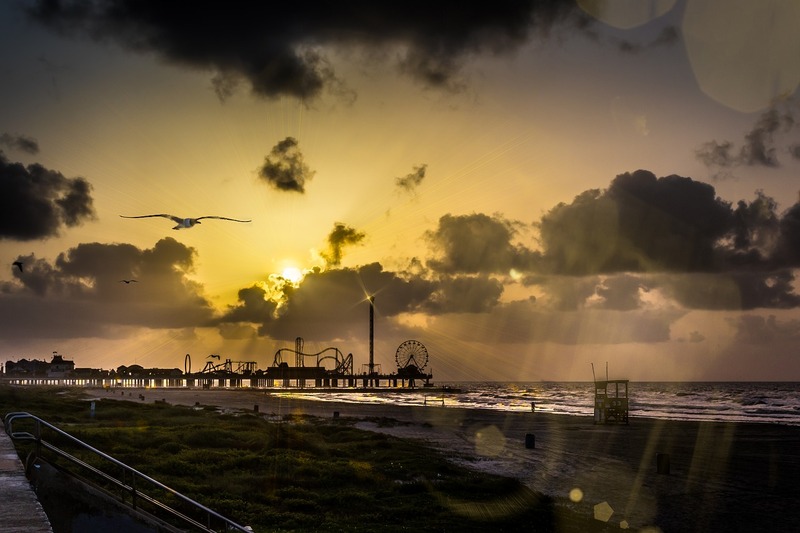 Galveston, Texas has long been a waterfront to flock to for southeasterners of all stripes, and this spring break is the perfect time to explore it. Along with the well-photographed Historic Pleasure Pier, visitors can also explore Moody Gardens, a 242-acre amusement park that features a zip line, aquarium, and more. Galveston Island State Park offers affordable beach-front camping, and let’s not forget about all that delicious, southern-style seafood there is to eat! Click here to see RVshare rentals near Galveston, Texas. It’s by no means the warmest or driest place on this list, but if you’ve been weathering a Pacific Northwestern winter, chances are you’ll still enjoy a trip out to the coast — particularly if you visit this uniquely spectacular viewpoint. 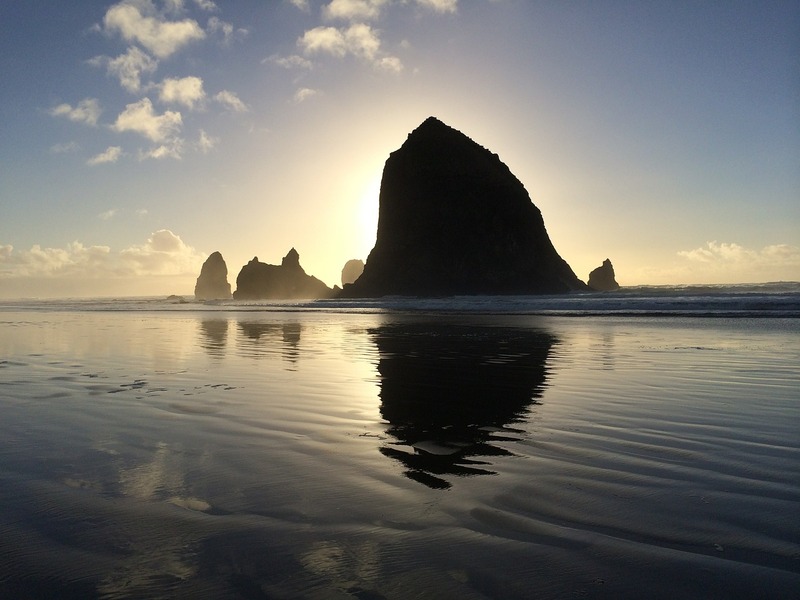 Known for its appearance in cult favorite The Goonies, Cannon Beach is home to a number of parks and wilderness areas, making it a great oceanside getaway for those who aren’t so concerned with getting a suntan. Click here to see RVshare rentals near Cannon Beach, Oregon. During spring break and beyond, budget-conscious travelers are always trying to find the best vacation packages that help them save money without sacrificing their adventures. After all, who doesn’t want to have it all? Well, when you’re taking on a road trip in the USA in an RV, one of the biggest expenses is also one of the most frequently overlooked: the campsite accommodation fees you’ll pay whether you choose a modest, public park or a tricked-out, resort-style campground. Hookup sites frequently go for $50 or more a night, and sometimes those prices rise even higher during popular travel times, like spring break. Which is exactly why we recommend every camper sign up for a Passport America membership — it’s the most straightforward and quickly-rewarding discount camping club on the market. Why do we say so? Well, look at it this way: your year-long membership costs less than $50 and gets you half off the price of your campsite at almost 1900 campgrounds across the country. That means it usually pays for itself in a single weekend… and if you sign up for multiple years at once, your membership cost is even cheaper, which translates to even more savings! With so many amazing places to see, you’ve got a big decision to make when it comes to choosing your destination… but there’s also the question of how you’re going to get there in the first place! 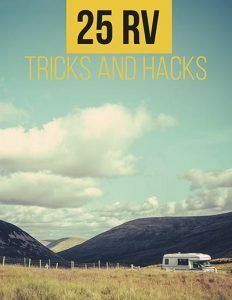 It’ll probably come at no surprise that our favorite method of travel here at RVshare HQ is, well, RVing. But face it: it’s hard to argue with that combination of comfort and convenience. Of course, if you don’t already have an RV of your own, renting one is going to be a major part of your travel costs. And with the large, nationwide dealerships frequently charging $200 a night or more even for their most modest models, this travel style, which is often considered a thrifty way to see the world, can quickly become anything but. That’s why we’re so proud of what we’ve built here at RVshare with our peer-to-peer rental network, which connects adventurers like you with private RV owners who are happy to share their vehicles and their camping knowledge. You’ll save money off the big box store prices, but you’ll also forego the faceless, big box store experience, bolstering the community vibe which is what camping, at its best, is all about. 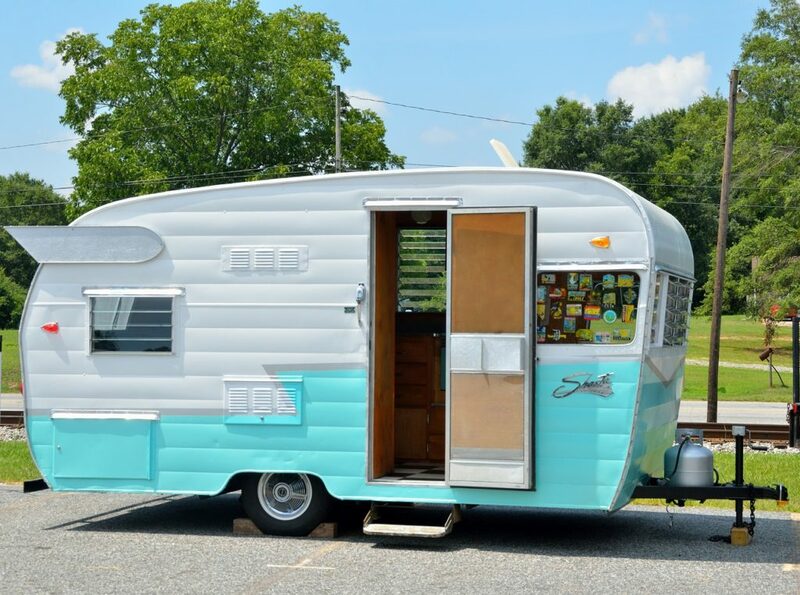 Whether you’re looking for a luxurious Class A, a vintage Airstream, or a tiny pop-up camper, the RV of your dreams is waiting for you at RVshare — so check out the RV rental listings in your area today. And once you find the perfect rig, get out there and enjoy this beautiful spring! After a long, cold winter, we’ve certainly earned it.